Live desktop - Animated Live Wallpapers and Themes. 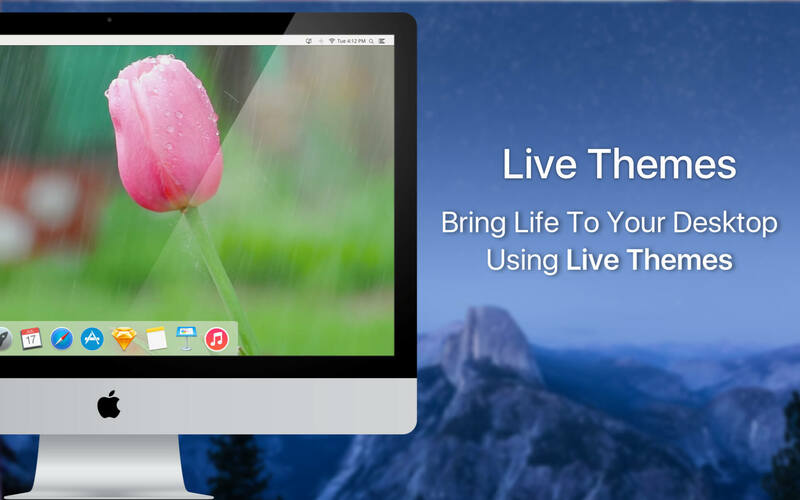 Live Desktop is an awesome app which makes the Mac desktop come alive with stunningly live HD quality and animated themes instead of the boring wallpapers and background images. Live Desktop makes the Mac desktop alive with amazing live themes and wallpapers. Say good bye to boring wallpapers and background images experience the way desktops for Mac should be. Experience a waving flag, pristine water wall, ripling river, sandy beach, roaring lion and even rain water drops on your Mac screen. All themes, images and wallpapers are live, animated and are HD quality. Most of the live themes and wallpapers have audio integrated in them. Just click on a button to enable or disable audio in the Live Themes and wallpapers. Live Desktop is a great companion for creative professionals who wish for a totally different environment to encourage the flow of thoughts, ideas, art or words. Live Desktop takes you to a different environment in a click. Live Desktop provides a beautiful interface to view all the live themes and also the option to download other new themes that are not available locally. 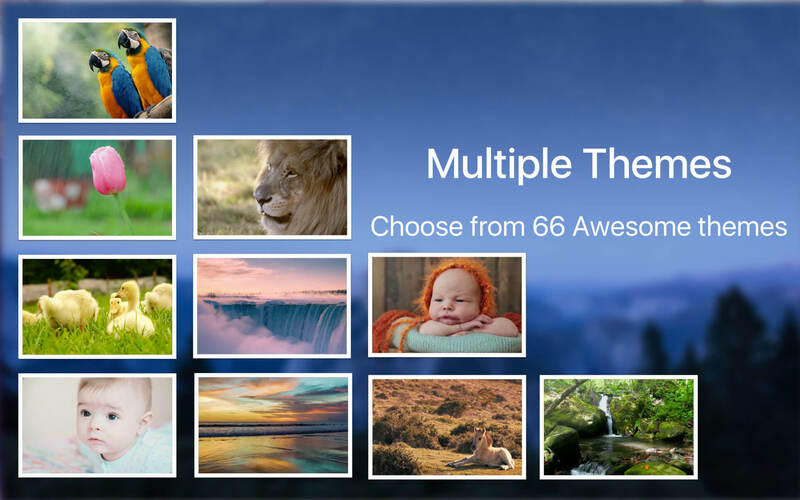 In addition, additional themes are added continuously as they are created. New themes will reflect automatically in the app and there is no need for an app update. 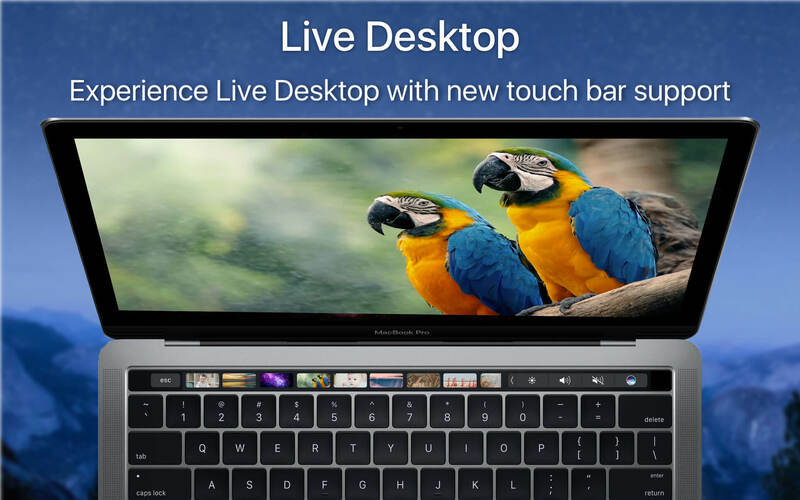 You can configure the Live Desktop app to launch on start and is ready to use on menubar it can also be activated in a single click or configured hot key stroke. Upload your own video or live themes for your desktop background. Optimized live themes for better looping.